Saturday, December 13 at 8PM and Sunday, December 14 at 2:30PM. 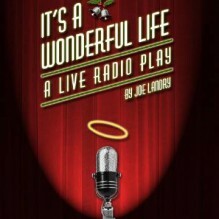 This holiday classic comes to life as a live 1940’s radio broadcast. An ensemble of five actors brings all the residents of Bedford Falls, NY to life. Is George Bailey the richest man in town? Will Clarence get his wings? You won’t want to miss this special event! click here for tickets now!